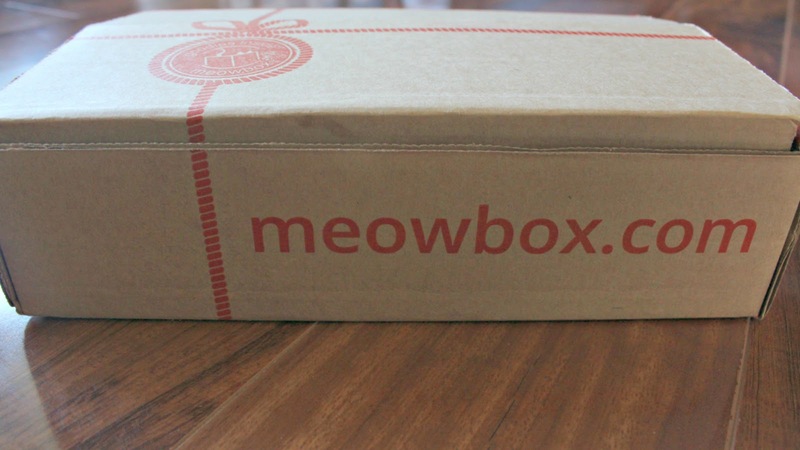 Box: Meowbox is a subscription box made especially for your cat. 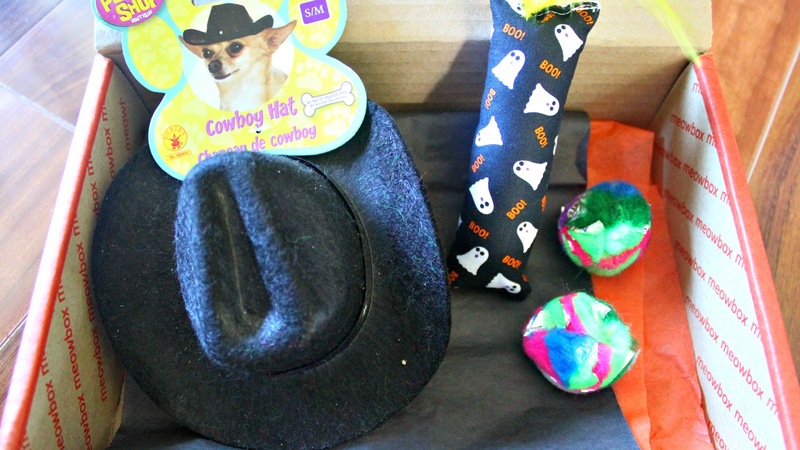 Contents: Interesting toys, healthy treats, and more! 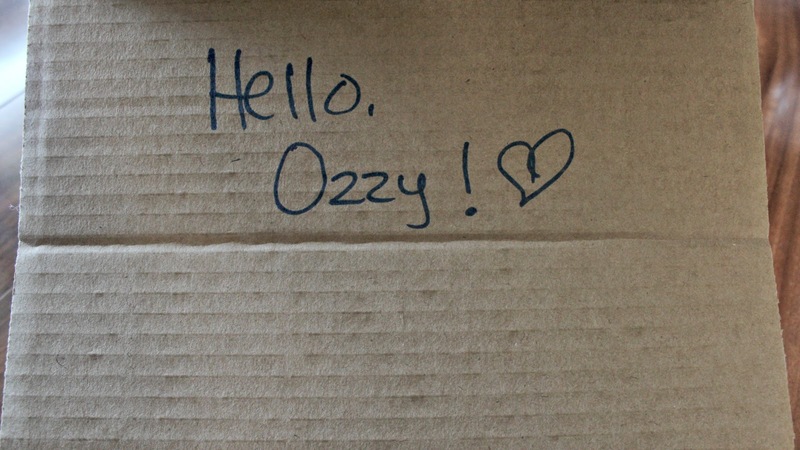 Each Meowbox can be customized to your cat’s name if you choose, which I think is so sweet and a great personal touch. This is the name of my cousins cat. 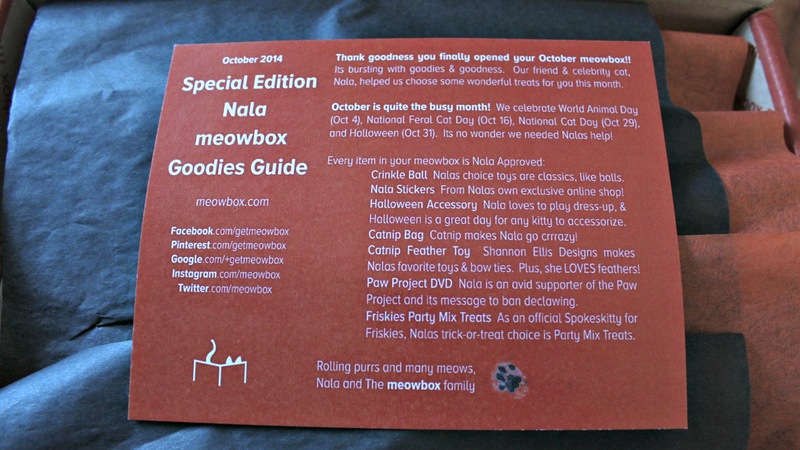 This information card talks about the theme of the box, and each product was cat-approved by Nala, a cat that, believe it or not, has over 1.5 million followers on Instagram! Wowzers…cat-celebrity! This video is a documentary focusing on the fight to end declawing. Lucky for you guys, this video is available on Netflix if you haven’t subscribed to Meowbox yet and still want to see it. This is a very familiar brand of cat treats to me, and something I think the majority of cats love. Isn’t it the cutest when people dress up their pet? (If the pet lets um keep the costume on that is!) I loved that this was thrown in there; perfect for Halloween. 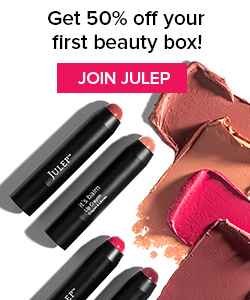 This sound like plastic when you squeeze them, sure to rile up the cats. I used to love giving bags of catnip to my grandmas cats and seeing how crazy they went over it. I believe this is a .50 oz bag of loose catnip that you can stuff into your own bags and toys. Final Thoughts: It was pretty hard to determine a value on this box since some of these things were hard to find, but I made an educated guess of about $34. 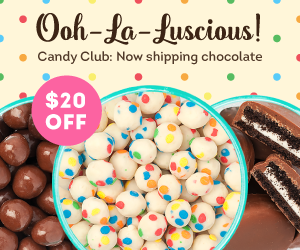 Now that isn’t that much more than the cost of a subscription, but there is an option of getting a better value with the 6-month subscription (at only $22.95/month.) 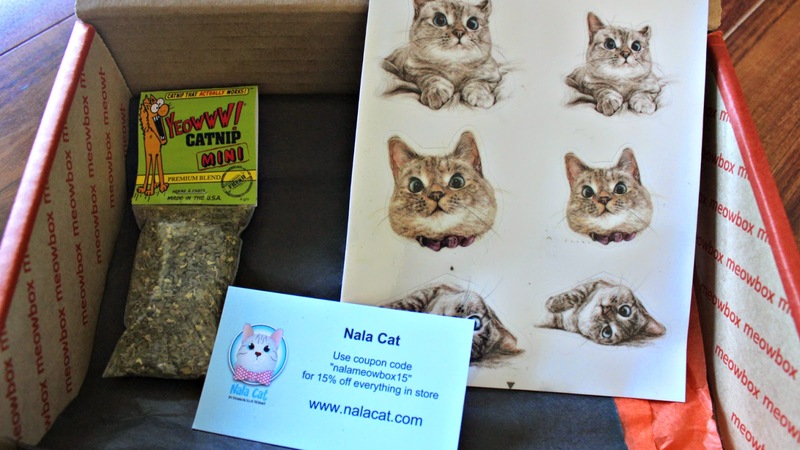 I really liked the variety of toys/cat nip included in this box, and thought the overall mix was very eclectic. Im not sure if non toy/treat items are included in every box, but that’s something to keep in mind when ordering. (As in the stickers and DVD.) Overall I think that if you want to indulge your cat and are a huge cat lover, you would definitely like this box. 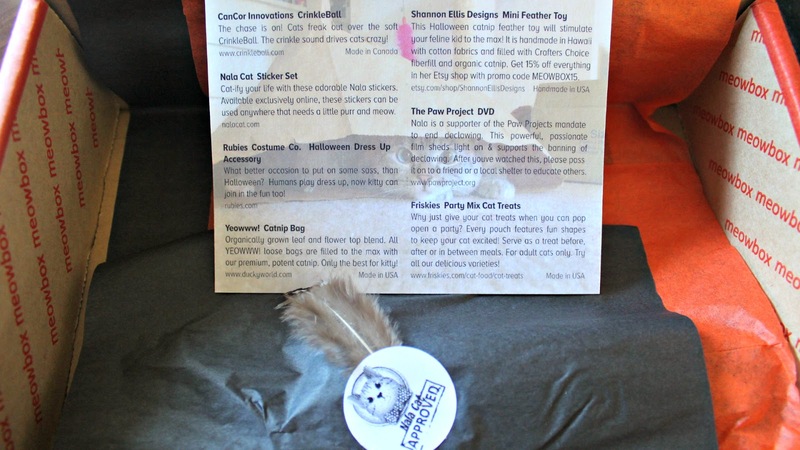 Bean Box Review October 2014 – Coffee Subscription Box!